A new course at Stanford University is giving students a behind-the-scenes look at Super Bowl 50, which will be played next month at Levi's Stadium in Santa Clara. The course, "The Business of Super Bowl 50 and Silicon Valley," will examine the National Football League's biggest game from many perspectives, including marketing, broadcasting and technology. The six-week course also features guest speakers from key players who helped bring the Super Bowl to the Bay Area. On Tuesday, Pat Gallagher, who serves as the executive vice president for the Super Bowl 50 Host Committee, visited the class and described making a pitch to NFL owners. "It was one of the most terrifying experiences ever," Gallagher told students, referring to making the winning pitch to bring Super Bowl 50 to the Bay Area. 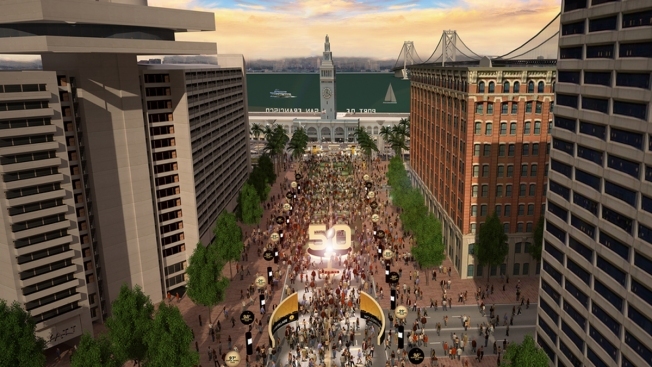 San Francisco crews have begun setting up Super Bowl 50 City ahead of the Feb. 7 game. Stephanie Chuang reports. Gallagher said the committee had 15 minutes to give its pitch to NFL owners. The class is put together by Andy Dolich, a sports management consultant. Dolich said the the huge event can be examined in many ways, from the field and coaches to marketing and advertising. Students will also learn the details of the game and entertainment plans from insiders, Dolich said. For Palo Alto High School teacher Theresa McDermott, the course is giving her an idea of career paths she can share with students who will be watching the big game. "More than half of our students are athletes," McDermott sad. "The love of sports is the hook. It's fantastic to have their eyes open to make a career of the industry." The class started Wednesday and will continue after the Super Bowl. Students will also have a chance to look at the pros and cons of hosting the big game. 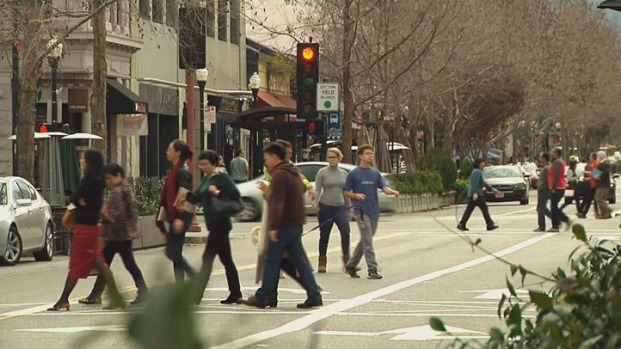 Mountain View city officials say they expect 1.3 million people to come through the area for next month's Super Bowl. Scott Budman reports.